In the interests of annoying the hell out of Nerd, I feel I must draw your attention to the existence of a relatively new wiki known as the Anti Wikia Alliance. As the title might suggest, it's a bit like the Complaint Wiki, which logs gripes and annoyances with Wikia Inc. However, whereas CW is an archive of discussions on other wikis, it's expected that AWA will be a place to chat about all things that cheese you off about Wikia. Granted, the basic frame of the website is modelled on an 'Anti Wikia' discussion page at Wikia (who subsequently booted them from their servers), but with a bit of help it could actually garner some attention. Press attention, maybe. So, if you're in the anti-Wikia camp, then I'm sure you'll find it all very good reading. To get your juices flowing, here's a taster of some of the stuff levelled at Wikia since the inception of their new skin last month, and here's a list of the latest wikis joining the mass pilgrimage to ShoutWiki. Personally, I'm gonna monitor the situation and create an account there once the database is unlocked for public input. 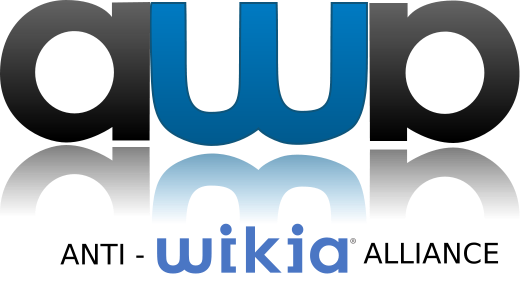 I intend to compile a list of links to my comments/posts on Wikia for reference and report my thoughts on the site once I've had some time to check it out more thoroughly. Dude, you spelled existance wrong. The retro forum - Best of! ?pedia banners - show your support! Written contributions licensed under Creative Commons 3.0. Copyright remains with respective owner. Simple theme. Powered by Blogger.